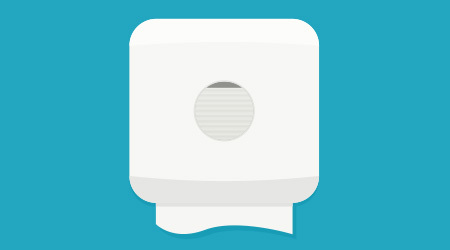 How do I combat odor coming from a waterless urinal? Odors often come from urine scale buildup on pipes, which cause a large volume of odor causing bacteria to grow. In waterless urinals, barrier fluids or membranes help suppress odors and block vapors from releasing. Water-based cleaning agents approved for use in waterless urinals may be a simple way to help reduce urine scale build up and release of odors into the restroom. The appropriate products must be selected based on compatibility with the urinal, and applied with necessary frequency. Odors should be addressed right from the source. Air and surface sprays can play a crucial role in combatting these odors. By simply spraying the impacted areas — where the foul odor molecules reside — it is possible to stop these foul odors instantly. In this case, we would recommend using the sprays directly on the urinals on a daily basis; better yet, a regimen for eliminating related odors should be built directly into the regular cleaning schedule. Preventative maintenance starts at the initial installation of the waterless urinals. The urinals need to be plumbed with the proper pitch and need to be placed downstream from a water source such as the sinks. Some facilities may include one flushing urinal to help keep the sanitary line flushed to prevent urine build up in the pipes. If a water source isn’t properly placed in the chain, then it is advised to add water periodically to the urinals to keep the lines flushed. It is also important to clean the urinals with a waterless urinal cleaner that won’t emulsify the sealant that keeps the odors coming out of the urinal traps.